If life continues from generation to generation, then all plants and animals must go through a life cycle, even though it may be different from organism to organism. Is this what students have “learned,” or do they have their own private conceptions about life cycles? The formative assessment probe “Does It Have a Life Cycle?” reveals some surprising ideas children have about life cycles (Keeley, Eberle, and Dorsey 2008). It is designed to find out whether students recognize that all living multicellular organisms go through a life cycle. This article is well written and very informative. I love how Keeley talks about addressing preconceptions by challenging students thinking. I appreciate the fact that Keeley mentions, that you must be sure students are not limited by the context in which they learn something. For example, children need to be aware that the life cycle of a butterfly is just one example of a life cycle and not every life cycle will be exactly like that. If the teacher does not make that clear, students may begin to develop some misconceptions due to the context of how the information was presented. The author notes that students often come in knowing that animals that "go through a change" have a life cycle. But many do not understand that plants have life cycles too. I can relate to this, as I have had some students in a recent unit, who did not know rice was a plant, let alone know that it went through a life cycle. I definitely plan on using the probes discussed in this article, the "justified list" and the "card sort," as formative assessments in the future. As you start to realize the reasoning behind why students are not picking certain items on the justified list or sorting certain cards the wrong way, this information can then be used to inform your instruction. I am glad the author specifically notes that the probes, mentioned in this article, are not formative assessments unless they impact and guide your teaching. To me, that's the most important point to remember. It is not just about giving formative assessments, it is how you use the information you get from them. I definitely recommend giving this article a read. 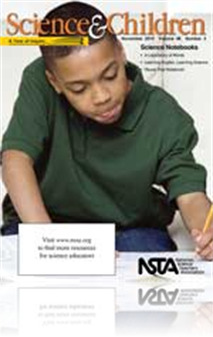 This article provides a great strategy teachers can use to uncover as well as address students misconceptions about sciences. 5 star! I love the use of formative assessment and how Keely is assessing students understandings about life cycles by engaging students in whole class discussion as well as in groups. Keeley presents a formative assessment that examines student's perceptions on life cycles. Keely recommends pedagogy to use the formative as a discussion piece for a whole class work-up of a rule that can be used to determine if an organism has a life cycle. Keeley also gives alternative implementations for the formative such as a sort, where students work in groups and discuss their thinking as they sort the organisms.